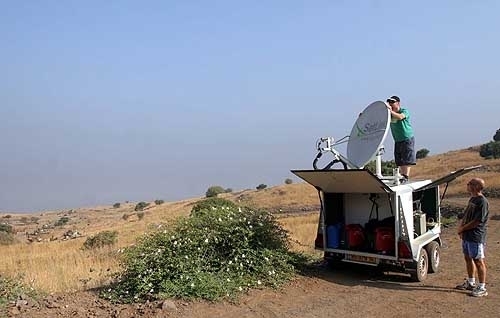 Cameraman Alon Bernstein and producer, Mati Hefer, while operating a SNG unit for Associated Press Television News in Zaura, 1 mile from the Israel-Lebanon border. 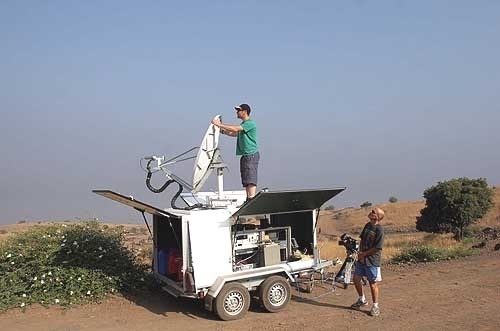 26.07.2006 Cameraman Alon Bernstein and producer, Mati Hefer, while operating a SNG unit for Associated Press Television News in Zaura, 1 mile from the Israel-Lebanon border. Cameraman Alon Bernstein and producer, Mati Hefer.